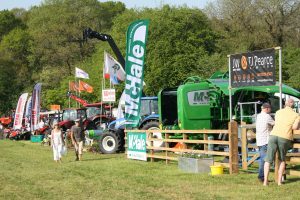 Trade Space at the 160th North Somerset Show, Bank Holiday Monday 6th May 2019. 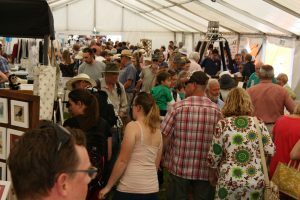 We have over 260 different trade stands exhibitors every year. We welcome back familiar faces year on year but are always happy to accept applications from new stands too. 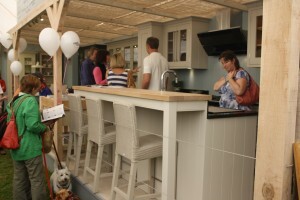 If you would like to be considered for a catering place next year, please get in contact with us in October. Our three giant shopping arcades are housed within large marquees, standard pitch size is 3 metres square on grass. No partitions between stands. – These stands are not open to applications from food sellers. For exhibitors selling or promoting food and drink. Housed within a large marquee, standard pitch size is 3 metres square on grass. No partitions between stands. 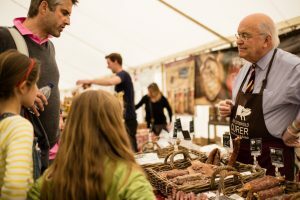 – These stands are not open to applications from food or drink to go sellers, all food & drink must not be intended for immediate consumption. These stands are for businesses selling or promoting agricultural machinery; large animal feed; farm animal veterinary services; agricultural buildings; agricultural services etc. All on grass. In an attempt to reduce plastic usage at the show we are requesting that caterers do not offer plastic straws or plastic cutlery and the use of plastic containers should be limited. Biodegradable alternatives should be used wherever possible.